The land of Scandinavia looks raw and rigid. Icebound peaks, frozen lakes, vast forests… But this land is more than meets the eye. It’s a land of legend, full of amazing creatures and the toughest folk you’ll meet. The natives have discovered the beauty and the riches of this land to make it their own. But the Nordic shores are unwelcome for outsiders. So be careful if you steer your ship to the north, for the cold will be the least of your problems. We are glad to introduce you to the Norse mythology in World of Myths – inspired by the poetic tales of might and glory told by the North Germanic people. Take control of legendary heroes and emblematic creatures to crush your enemies and earn your place in Valhalla. “The best defense is a good offense.” You will find no faction in the game that represents this saying better. The vikings were stronger when they attacked in parties, they were aggressive and relentless and showed no sympathy. For the most part raiders and invaders, they preferred to take the fight directly to their enemies. 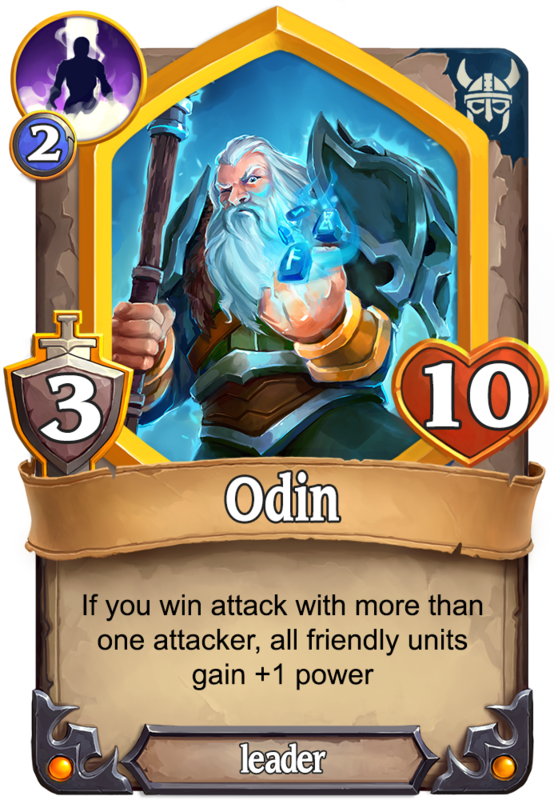 While playing with this mythology you can rely on raw power, pack tactics and different numerous ways to destroy the opponent’s units, thus leaving their temples defenseless. 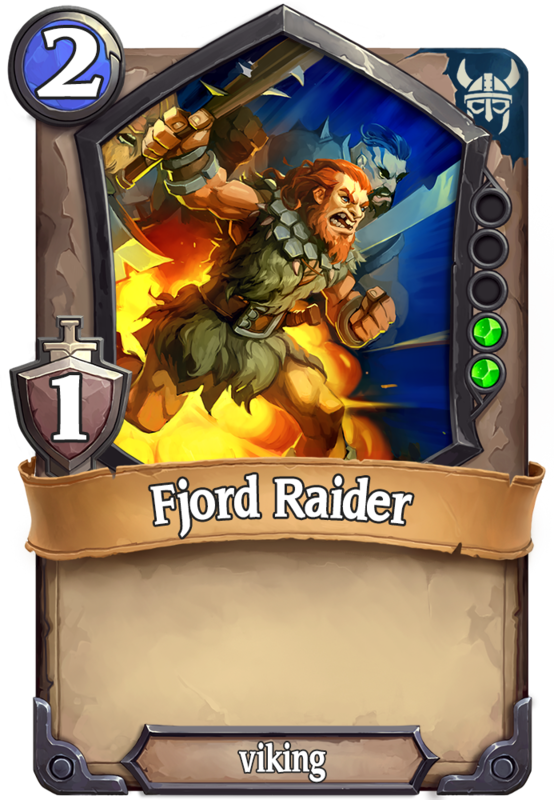 Fighting a single viking can be scary, but a bunch of them could be a real force to reckon with. The clans of the North were not always friendly to each other, but when the spoils were great, they rallied under one banner to unite their forces and seize the prize. While playing with this mythology, gathering a strong raiding party and slashing your way to victory can be effortless. 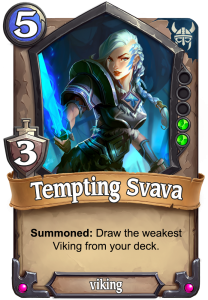 Svava, the heroic princess warrior, was revered by many fighters for her skill and prowess. 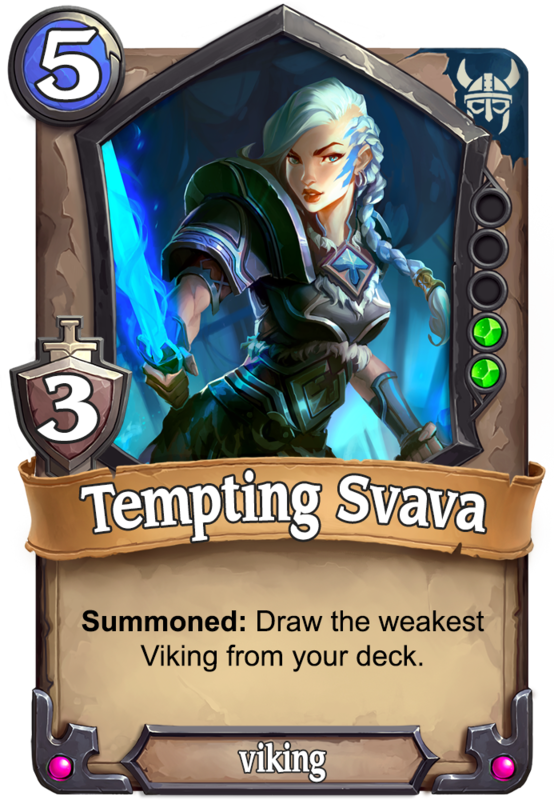 When you summon Svava, you would be able to draw another viking from your deck. 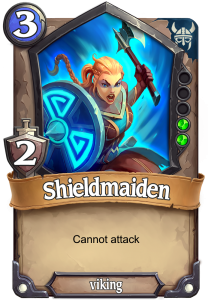 That way you can summon one more fierce warrior to fight by her side. The Thundering Viking is strong but can fatigue easily and wear out after a single battle. 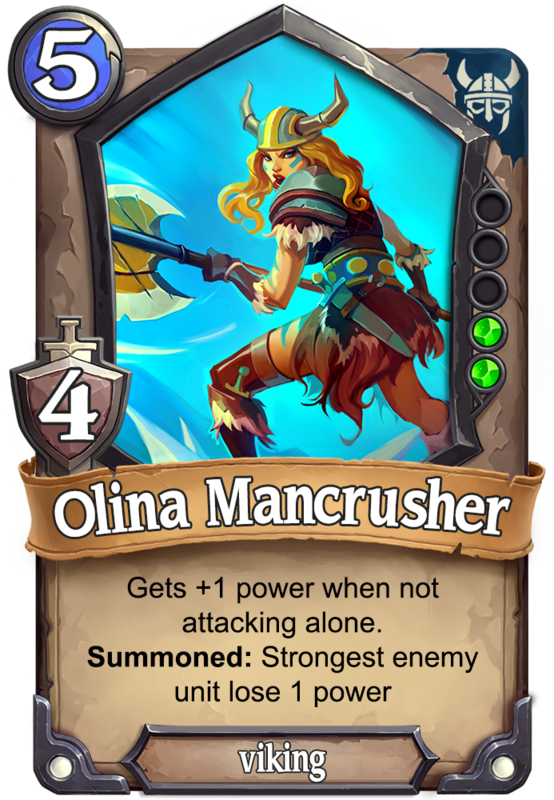 However, calling forth Olina Mancrusher will add additional viking to the band and increase Thundering Viking’s endurance, thus keeping him on the field for longer. This is a simple example of how unity can make the Norse people stand stronger. 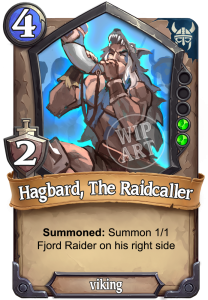 Hagbard, The Raidcaller is a renown warrior, famous for the countless bountiful raids on the fjords. 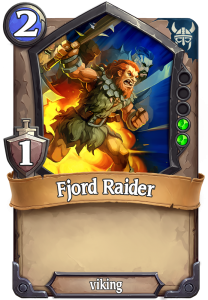 He never comes unprepared to the battlefield – he brings his own Fjord Raider with him. In addition, you can bring an Elder Blacksmith to the raid. The Blacksmith can forge weapons and armor for your viking heroes and boost their power further. These are just a number of ways to build a mighty army. With a strong band of warriors at your side, you can row your longboat to victory. Crush your enemies, take over their temples and prove your faith is stronger. And show no mercy, for such action will displease the Allfather. Odin, The Allfather, The Ruler, Spear God, The Many-Shaped, Overthrower, The Wanderer, The Hooded… A god of so many names and titles that would make the name of any dragon-riding warrior-queen sound like Cher. Odin is the almighty ruler of Asgard, king of all gods, a god of wisdom, magic, poetry and most notably… battle. For a warrior to appease Odin, they must prove themselves in battle. The seat on the Allfather’s table in Valhalla will not be given to you, it must be earned. You will need to prove your skills, time and time again and prove how resolute your faith is. Because Odin will not provide you with His blessing if you’re not strong enough. Building a strong army is crucial to gain Odin’s favor. While you attack with more units, The Allfather will guide your warriors with His spear and aid your forces. If your power is scarce, do not expect aid from the ruler of Asgard. 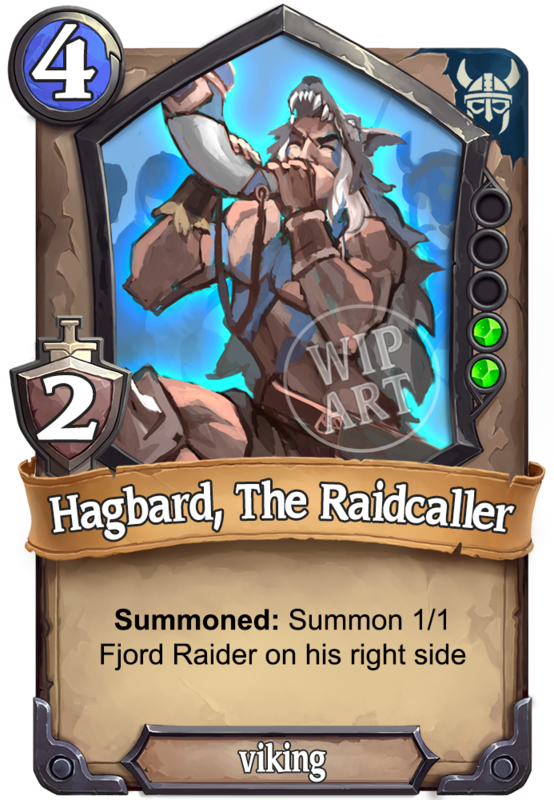 That’s why using strong heroes, such as Svava and Hagbard, can help you gather a greater army and gain the benefits of serving The Allfather. 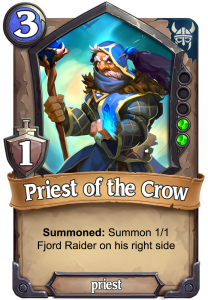 You can also seek aid from Odin’s priests, who will bring more allies for your righteous cause. Their main strength is… well, their power. There’s no other way to put it. Especially when they are on the offensive. 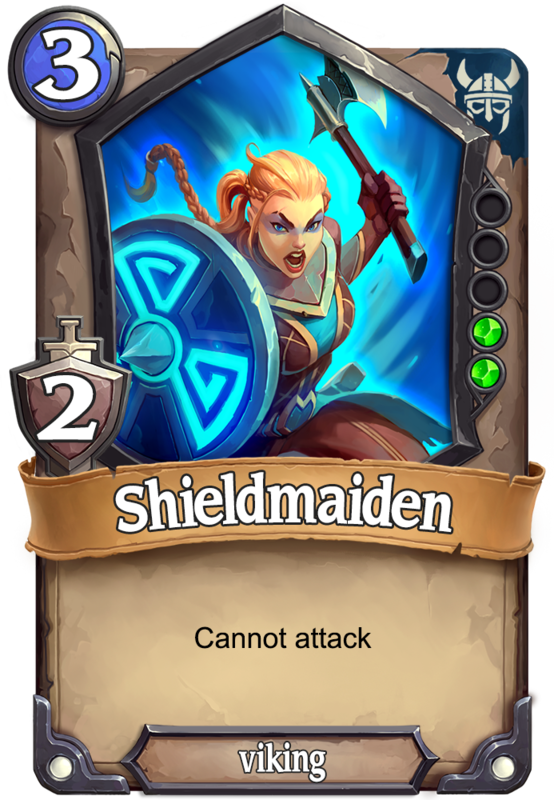 However, if your opponent endures your charge and prepares a counterattack, you could get in trouble – the Norse are not that good while defending and may leave their temples open for attack. The offense is your best weapon, but be careful not to leave gaps in your line or you might get hit badly. 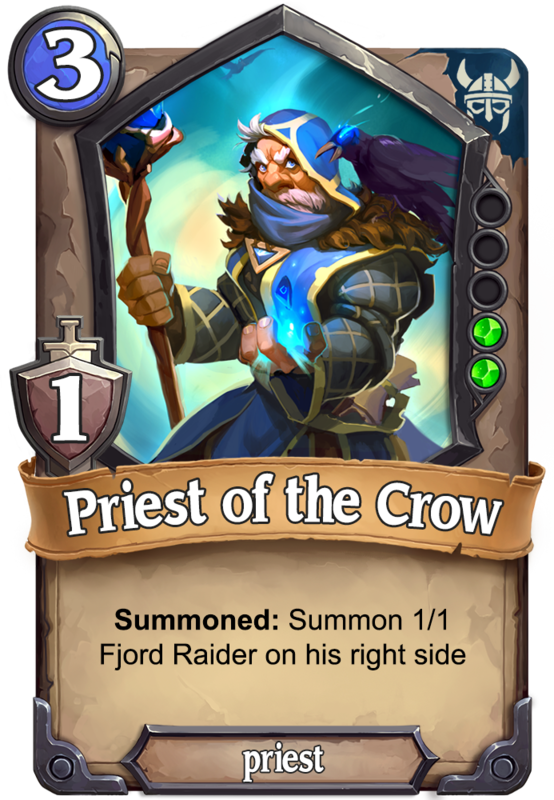 You can also rely on numerous ways to kill the opponent’s units – by using creature effects and devastating curses. 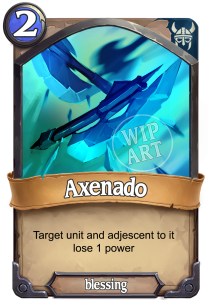 Drain your opponent’s endurance or kill their units outright – you will have numerous weapons of this kind in your arsenal. But the viking recklessness and stubbornness can lead to unpleasant surprises. 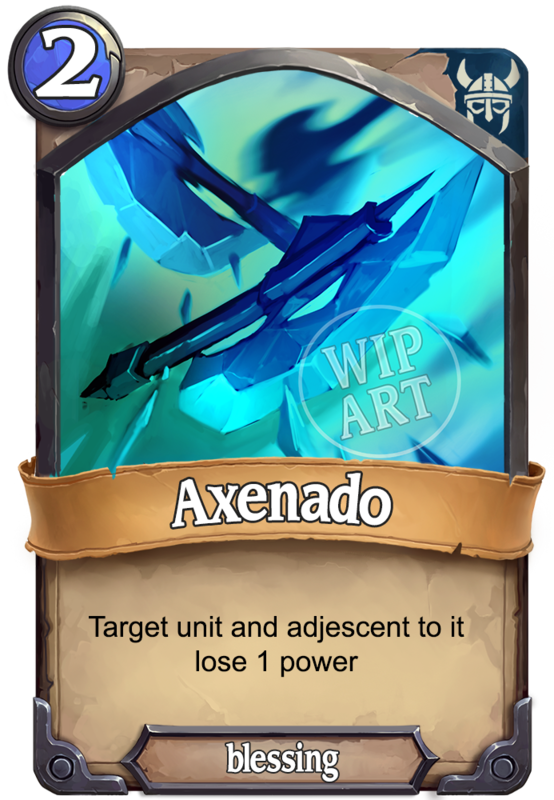 You will rarely be able to resist surprising unit effects and acts of magic so you will need to be prepared to regroup and rebuild your army if your units are incapacitated. 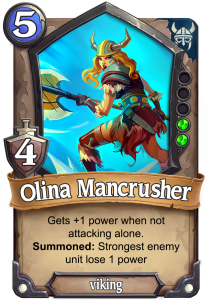 If you like brute force and direct approach if you prefer to ravage the enemy lines and crush the opponent’s will, give the Norse mythology a chance. You won’t be disappointed. Are you prepared? Are you cut out for it? Will you find your way to the Great Hall? 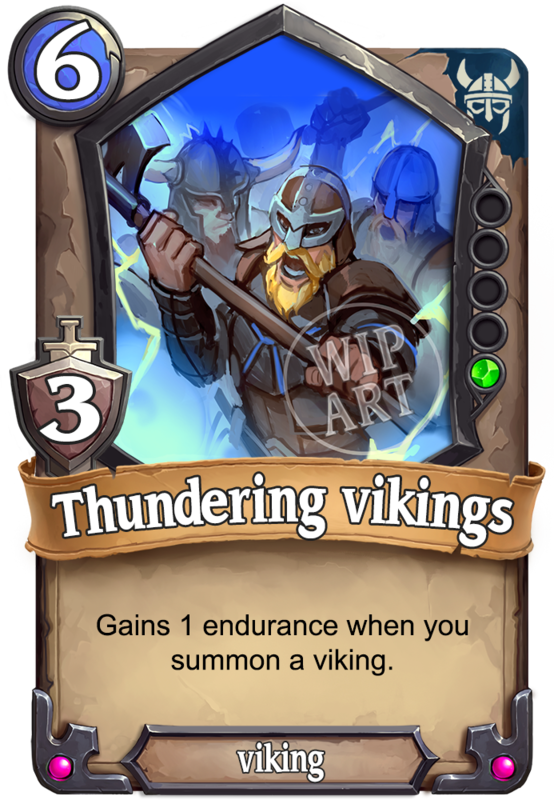 While playing with the Norse mythology you can rely on iconic mythological creatures and heroes to help you prove your strength and skill and earn your place in Valhalla. Decimate your enemy with blade and magic and find your way to the top. Odin is expecting much of you. You wouldn’t disappoint him, would you…?